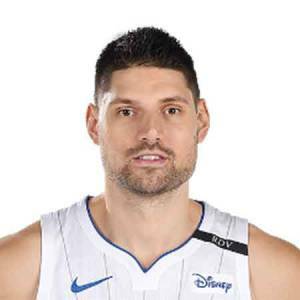 Nikola Vucevic is a Montenegrin professional basketball player who plays in the National Basketball Association (NBA). As of 2018, Vucevic currently plays as a Center/Power forward for Orlando Magic. He has also played for Philadelphia Sixers in the past. Nikola Vucevic reportedly earns around $12 million from the Orlando Magic as his annual salary. Further, he has an estimated net worth of $30 million. Vucevic is currently married to his longtime girlfriend Nikoleta Pavlovic. Nikola Vucevic was born on October 24, 1990, in Morges, Switzerland to father Borislav Vucevic and mother Ljiljana Vucevic. As per his nationality, Vucevic is Montenegrin and belongs to the Caucasian ethnic group with swiss-Servian decent. Further, his star sign is Scorpio. Vucevic's father was the member of Yugoslavia national basketball team, while his mother also played basketball for the Bosnian club Zeljeznicar. In 2007, Vucevic attended Stoneridge Preparatory High School in Simi Valley, California, where he played basketball for the high school team. Vucevic became the team captain with an average of 18 points and 12 rebounds. As of 2018, Vucevic has an estimated net worth of $30 million. He reportedly earns around $12 million from Orlando Magic. He is the fourth best-paid player of magic besides Aaron Gorden, Evan Fournier, and Timofey Mozgov. The NBA star so far has made over $42 million from his NBA career. In 2018-19, Vucevic will earn a base salary of $12,750,000,while carrying a cap hit of $12,750,000 and a dead cap value of $12,750,000. As per reports, Vucevic will earn an extra $4 million incentive. Apart from NBA earnings, Vusevic's net worth includes a luxury mansion in central Florida which costs around $2.5 million. The entire home has 4 bedrooms, 4 bathrooms, 1 fitness room, 1 play-room, and a media room. His personal car collection includes Bentley Continental which reportedly costs around $200,000 and Jaguar which costs $60,000. Born in an athletic family, Vucevic was destined to be a basketball player. The former high-school captain's professional career began in 2011. He was selected by the Philadelphia Sixers with the 16th overall pick in the 2011 NBA draft. With Sixers, Vucevic scored a season high of 18 points on February 22, 2012, against Houston Rockets. On August 10, 2012, Vucevic was traded to the Orlando Magic in a 4-team trade including Dwight Howard, Andrew Bynum, Arron Afflalo, Andre Iguodala, and other players. Later in April 2013, Vucevic recorded 30 points and 20 rebounds in a 113-103 win over Milwaukee Bucks. That same year, he set 30 points and 21 rebounds against Los Angeles Clippers, 24 points and 23 rebounds against Charlotte Bobcats. On October 23, 2014, Vucevic signed a four-year deal worth $52 million with Orlando Magic. In his latest 2018 season, Vucevic recorded 22 points, 9 rebounds, and 9 rebounds in a 126-117 win over the Milwaukee Bucks. 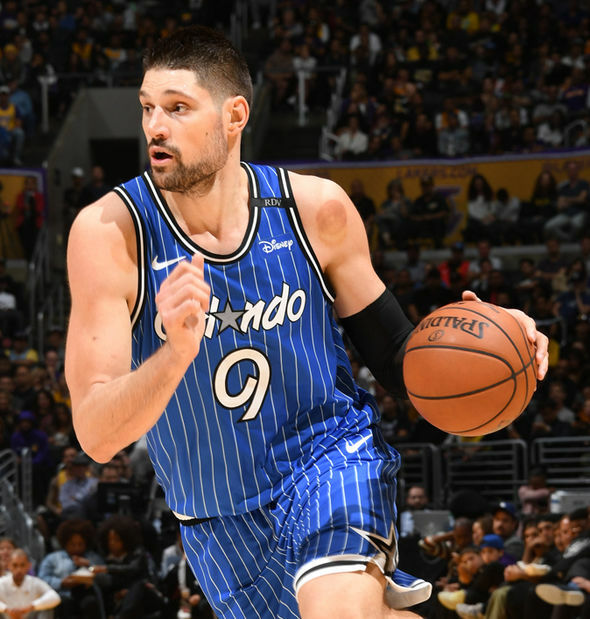 Similarly, Vucevic recorded his season-high 36 points and 13 rebounds against Los Angeles Lakers on October 20, 2018. About his Personal life, Vucevic is married to his high longtime girlfriend Nikoleta Pavlovic. Due to their interest in sports, the couple became very close during high school years. Pavlovic was the member of women's volleyball team in the University of South Carolina. There isn't any detail information about their wedding ceremony. As per Vucevic's statement in a paper, the wedding ceremony was performed in Switzerland. The couple is expecting their first child in December 2018. Regarding social media, it seems that Vucevic is active on Twitter only. He has more than 68k followers on Twitter. As of 2018, Vucevic is 28 years old. The NBA star has an impressive height of 7 feet ( 2.13 m) and a weight of 260 lbs (118 kg).